Thought I would post a pic to show one of my ‘secrets’ to making tank bib patterns. Light canvas is great to sketch on, doesn’t stretch much more than wet leather would but tapes down easily. Wrap it around, tape it down and mark all the important spots like the center line, edges and ridges and then start making test curves. Next step, cut out the lines you want, cut it down the center line and you have half a pattern. Transfer that to posterboard then flip it over to get the other side. 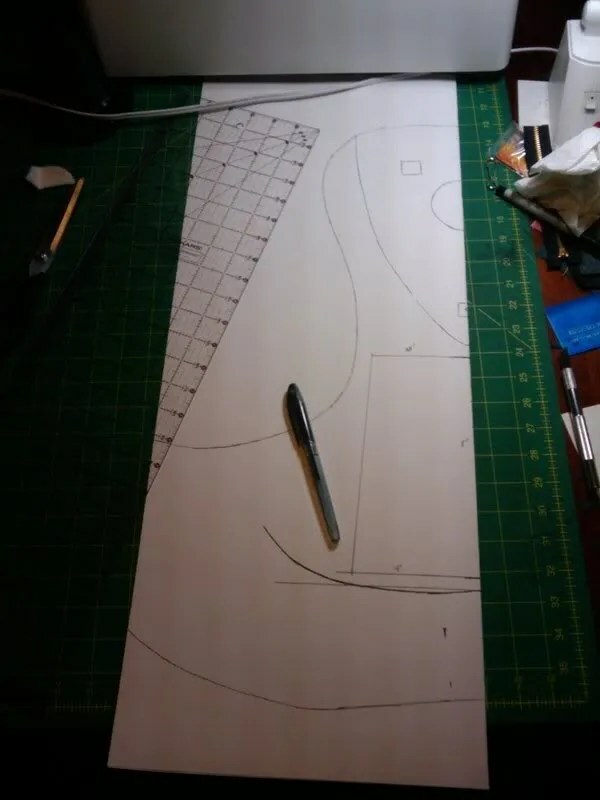 Viola, full size pattern that you can use to cut the leather. 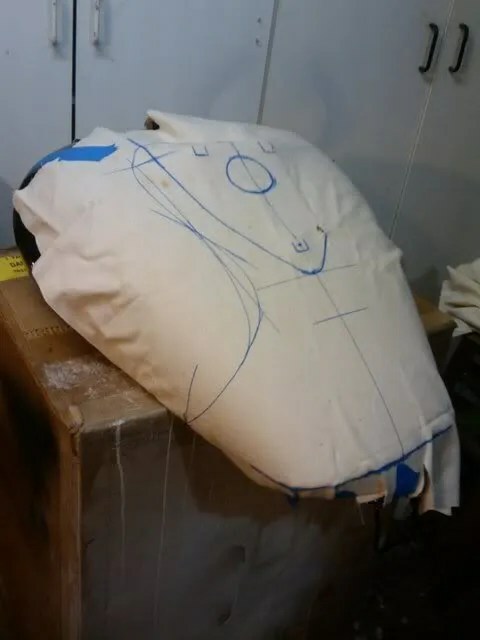 You can also use the posterboard pattern to layout holes for bucksticthing, spots, and other things that you can layout directly on the leather. This is the prototype pattern for a 2008 VTX1800F(1), C, T gas tank.